SEO First Step: What Is The Purpose Of Your Website? 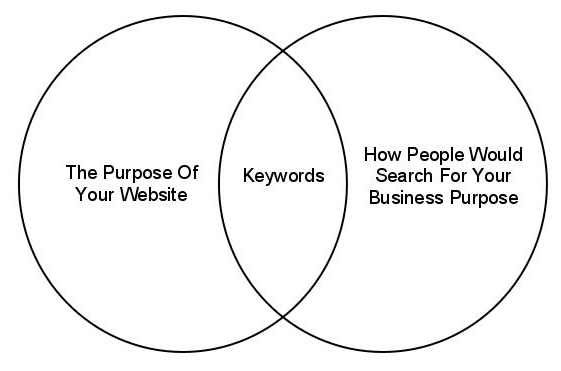 This seems overly simplistic but too often people employ SEO tactics to rank for keywords that aren’t very related to their business. So the first step is to define why your website exists in fifteen words or less. Complete this statement: “When its all said and done the only purpose of my website is to _______”. Then the next step is to figure our what queries your customers would use to look for your business purpose. Put yourself in their shoes. These queries will be really similar to your purpose. They will also go from broad queries – people who aren’t quite sure what they are looking for, to exact ones – where they have figured out exactly what they are looking for, and that’s when you need to find the happy medium between relevance and popularity for your keywords.